More and more, people, children as well as adults, are becoming aware that Shungite has a level of sentience that responds to our consciousness, our requests for help. 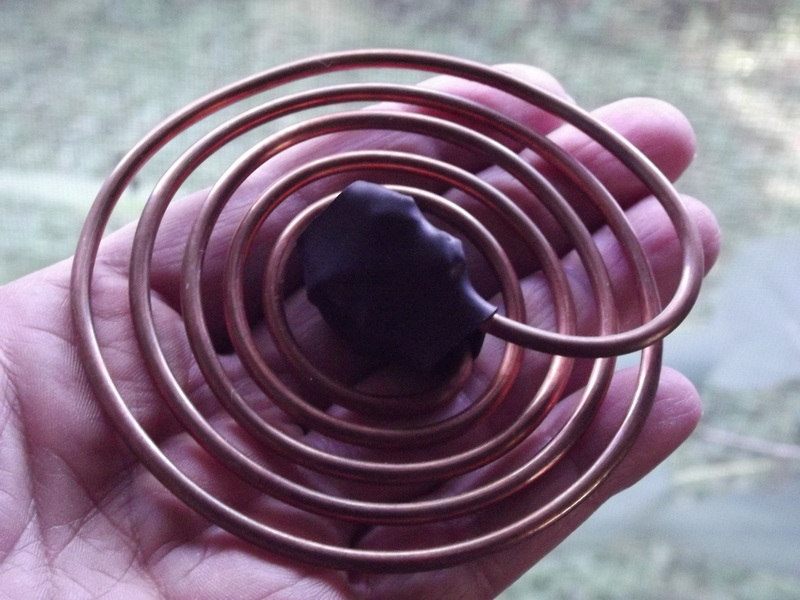 Working with my spiritual guidance, I found that a specific length of copper wire wound into an implosion coil, could produce a field having the same energy signature as Shungite. When the orgone in the coil flows through the Shungite at its center, the field becomes expanded as well as the energy of the Shungite itself. Using a Bovis Biometer to gage the level of consciousness of the assembly, it was found that the spiral has a level of 18000 (14000 marks the start of “spiritual energy” in the Bovis scale). Not only is this device active because the orgone is always circulating, creating a toroidal field, Nancy Hopkins found that it can be turned “on” or “off” at will. The spiral can be commanded mentally to turn on, and at different levels of intensity. It will respond to our conscious intentions so it can programmed to assist the user with personal issues and in their environment. Of course, because the assembly is always transmuting energy from negative to positive, it cannot be used to support harmful intentions. The sentience of Shungite does not allow itself to be subverted for negative purposes. Visit the Catalog to see what kind of devices I make and read a short description about them. You can also contact me, if you want a different design that you don't find in the catalog and I will get back to you. Click on a device name to go to the description of that device.